Marc Windheim joined RKF in 2014 as a Canvasser and was promoted to Associate soon after. He specializes in tenant representation in the New York Metropolitan area as well as on a national level. His national clients include tenants It’Sugar, 7 For All Mankind, Splendid and Verizon Wireless. Marc came to RKF with a legal background, with a focus on the transactional side of the law. Prior to joining the firm, Marc was a Vice President at Grovara LLC, an international distribution firm, where he specialized in the negotiation and drafting of sales, distribution and exclusivity agreements between companies both domestically and internationally. While there, he was also responsible for helping to expand the company’s international reach to over 23 countries. 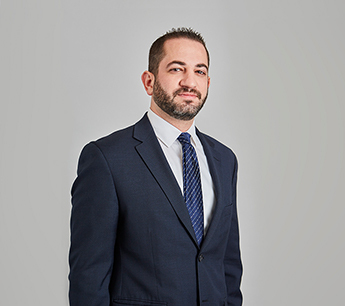 Marc now applies his experience assisting national tenants in all aspects of retail brokerage, which includes market knowledge and research to source new locations, negotiating and drafting prospective deals, and maintaining client and landlord relationships. Marc earned a Bachelor of Arts degree in Criminal Justice and Criminology at University of Maryland – College Park, as well as his Juris Doctor Degree from University of Villanova School of Law. He is a licensed Real Estate Salesperson in the states of New Jersey and New York and is a member of International Council of Shopping Centers.